2015 is the year of Agatha Christie's 125th birthday. The Christie estate is gearing up for two new TV adaptations on BBC1: Partners in Crime this July (miniseries starring Tommy and Tuppence, aka David Walliams and Jessica Raine), and And Then There Were None (TV film with an "all star cast"). We could also add the upcoming adaptation of Murder on the Orient Express (apparently without David Suchet! ), possibly to be directed by Kenneth Branagh, and the release of Sophie Hannah's The Monogram Murders last year, to that list. 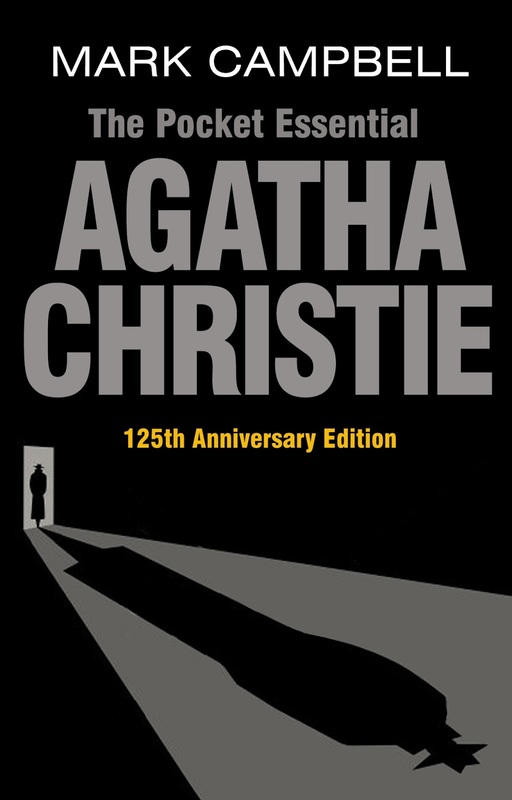 To coincide with the anniversary, Oldcastle Books are rereleasing a new and updated edition of Mark Campbell's Agatha Christie, a 'Pocket Essential' book which examines Christie's entire body of work, as well as every English language adaptation on television, radio, stage and film (not including the not-yet-released BBC1 adaptations and the new MOTOE). Mark Campbell has written for The Independent, Midweek, Crime Time and The Dark Side. He was also one of the main contributors to the two-volume British Crime Writing: An Encyclopedia, and the last theatre critic for The Kentish Times. Campbell's book is a comprehensive and fascinating guide to Christie. For some die-hard Christie fans, most of the information should be well-known. 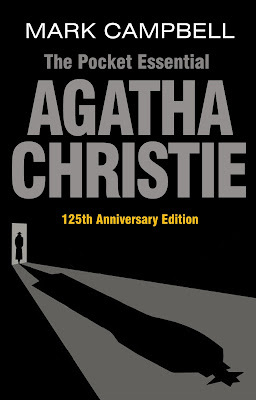 We get thorough introductions to each Christie character, including Hercule Poirot, Miss Marple, Tommy and Tuppence, Parker Pyne, Harley Quin. We also get a complete checklist of Christie's work, and each character chapter offers a guide to the individual stories, with a case overview, context, and a review by Campbell. But even for die-hard fans, there should be something to get their teeth into. I enjoyed the character descriptions, as they are possibly the most concise and accurate descriptions I've seen, apart from Anne Hart's excellent character studies of Poirot and Miss Marple in the early 1990s. And it's always intriguing to read other reviews of the stories you know, to see whether you agree with them or not. Also, I was pleasantly surprised to discover that Campbell includes Christie's Mary Westmacott novels as well as her poetry, children's stories and memoirs. I shouldn't be surprised, since this claims to be a complete guide, but more often than not, books on Christie tend to focus on her crime writing career exclusively. Since this blog focuses mainly on the Christie adaptations, particularly ITV's Agatha Christie's Poirot, I'm happy to say that Campbell is just as thorough when, later in the book, he turns his attention to every single adaptation of a Christie story. We get the same, handy guide to the individual adaptations, with cast, crew, premiere dates and Campbell's observations. The guide seems to be up to date as of 2015, including the final series of Poirot, Sophie Hannah's novel, and a new stage adaptation of The Secret Adversary. However, as a Poirot fan, I must admit I was somewhat disappointed Campbell didn't offer his thoughts on every single Poirot episode. Instead, we get an overall review. Still, with 70 different adaptations, that would almost amount to a separate 'Pocket Essential' in itself! All in all, then, Mark Campbell's Agatha Christie is an impressively complete guide to Agatha Christie's work; an essential Christie encyclopedia. The book is a perfect birthday or Christmas present for anyone who has an above average interest in all things Christie. Or those who don't know her range - from crime to thriller, adventure, poetry, romance and children's stories. I'll certainly have my copy available whenever an 'uninitiated' Christie fan stops by! 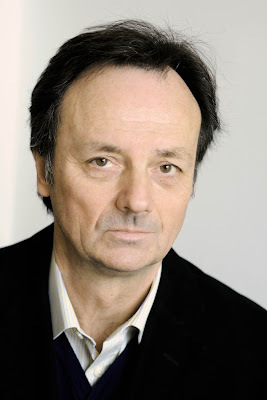 Nick Dear (1955-) wrote six adaptations for Poirot between 2003 and 2013. Outside of Poirot, he is known as a BAFTA-winning script writer (for Persuasion, an adaptation of Jane Austen's novel, in 1995). He has also written biographical TV movies on Byron and Beethoven. In 2011, he adapted Mary Shelley's Frankenstein for the stage, directed by Danny Boyle and starring Benedict Cumberbatch and Johnny Lee Miller (the two Sherlocks!). In other words, he was no stranger to literary adaptations when he was asked to adapt Christie's novels.